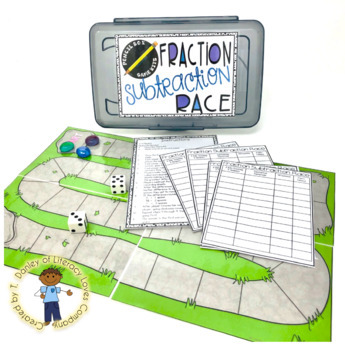 Are you looking for a fun and engaging way to help your students practice subtracting fractions? 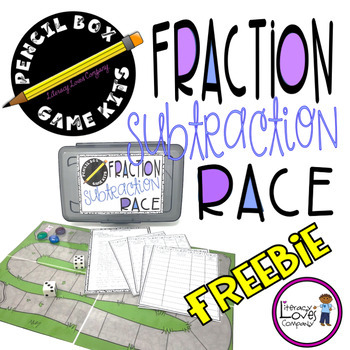 With this Pencil Box Game Kit, Fraction Subtraction Race, students will practice constructing proper fractions and subtraction expressions, find common denominators, and round fractions to 0, 1/2, and 1... All in one easy to prep game! 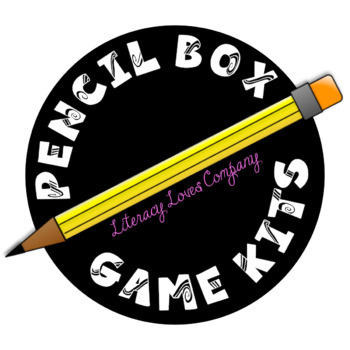 Pencil Box Game Kits are easy to prep and compact to store. All printables are included in this resource, just add a pencil box, game markers, and dice for an engaging addition to your math centers or small group instruction. Since everything your students need to play the game are stored in one convenient container, it makes set-up and clean-up a breeze! Fraction Subtraction Race - This game may be simple to play but it requires students to think about fractions in a variety of ways and to use strategy to win. The game is played in rounds. During a round, all student roll 2 die 4 times to create 4 numbers. Using those numbers they make two proper fractions that will have the biggest difference when subtracted. Students then construct a subtraction expression. Students solve the expression by finding common denominators. Once a difference has been calculated, students round the fraction to 0, 1/2, or 1 to find out how many spaces they get to move on the board. The goal of the game is to be the first student to get their game marker to the FINISH space on the game board. Please take a moment to take a look at the thumbnails for a clearer idea of the quality and content of this product before purchasing. ♥ Follow me by clicking the green ★ under my store name. You will receive email notification whenever I add a new resource to my store. All new resources are offered at 50% off for the first 48 hours! 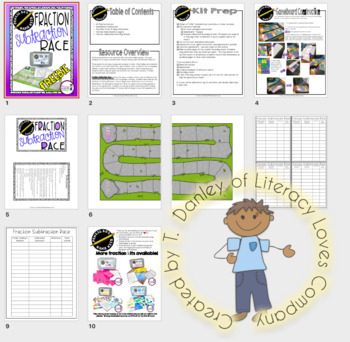 ♥ ♥ Leave feedback and ratings on purchased resources for TPT Credits. Use these credits toward discounts on future purchases!